Home Animals What Is the Highest Military Rank Achieved by a Dog? Dogs have been a part of battles and war since ancient times. These animals have been used in wars by people of ancient Rome, Egypt, Persia, and Greece. Their skills of tracking, smelling and their scouting capabilities have made them a crucial part of armies. The United States military has also adapted to this technique and dogs are now officially enrolled and trained for combats. Dogs from different breeds are trained for specific purposes and are always efficient at their duties. In the earlier centuries, dogs were trained to target the enemy. Examples include strapping the dogs and training them to run under enemy tanks, pouncing on the enemy and killing them, etc. However, the training didn’t really prove beneficial to these purposes. Soon the idea was abandoned and since then, dogs are used for purposes other than a direct attack on the enemy. Chips was a sentry dog who was trained to be a part of the U.S. Army during the World War II. 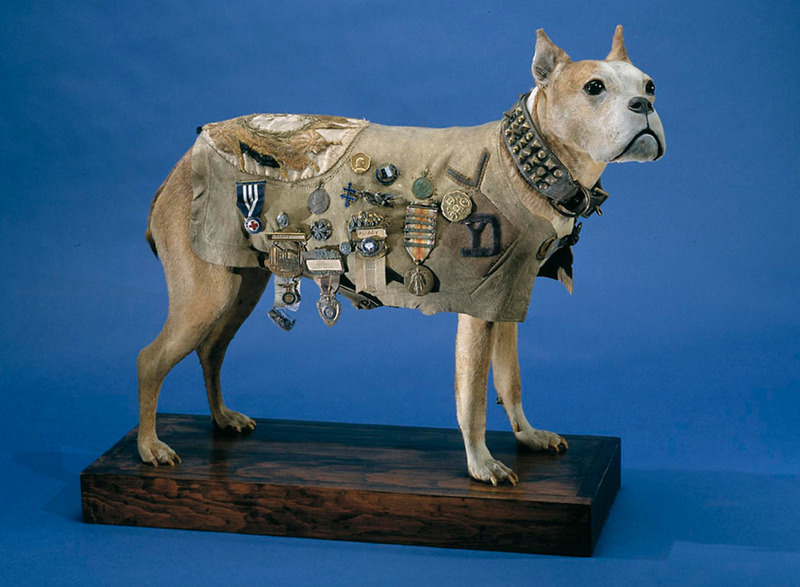 The dog was donated by a private owner to the U.S. Army during the war time. After the training, Chip went on to serve as a military dog in France, Sicily, North Africa, Italy, and Germany. During his time in Italy, Chips pounced on a group of Italian soldiers who were targeting Chips and his owner using machine guns. Chips was injured during this incident but four of the gunners were forced to surrender thanks to the dog. Purple Heart: This award is presented in the President’s name to American soldiers who are injured severely or are killed on the battlefield during a war. The Purple Heart is the first military award of the United States Army. Silver Star: This is a special medal which is presented to American soldiers who show outrageous courage and bravery on the battlefield. The Silver Star Medal is one of the highest medals that is rewarded to soldiers for displaying exceptional courage in combats. Distinguished Service Cross: This is the second highest military awarded that an American soldier can receive. This medal is given to those who are extremely courageous and risk their lives during an armed battle. Although Chips well deserved these awards, they were revoked due to a policy that terminated commendation of war dogs. However, in 2018, Chips' bravery was acknowledged and he was awarded the PDSA Dickin Medal. This medal is similar to the Victoria Cross medal but is specifically reserved for military animals. This medal is awarded to animals who show courage and bravery during war time. What is the highest military rank achieved by a dog? Sergeant Stubby is the one who is known for being the first ever officially promoted animal Sergeant. 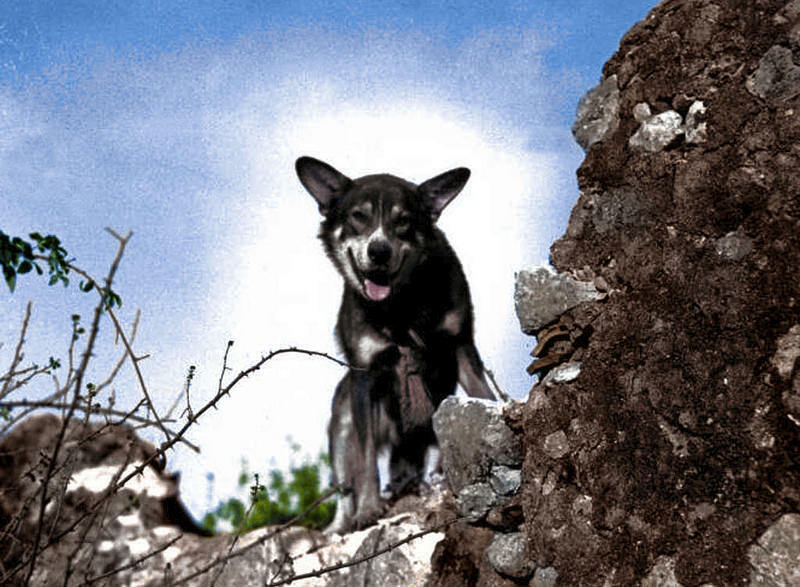 This dog was the heroic military animal who served alongside the American Army during World War I. This brave canine holds the title for being the only dog ever to be nominated and also elected as a Sergeant. Stubby has participated in a total of seventeen battles in the Western Front. The Western Front was the most crucial place during the World War I where many major events occurred. Sergeant Stubby had even helped in capturing a German soldier by holding him still until the American soldiers arrived. The dog was able to sniff out gas bombs and could easily track down injured American soldiers, saving many lives in the process. Stubby was also known for his 18 months long brave participation in the Trenches of France alongside the 102nd Infantry Regiment. 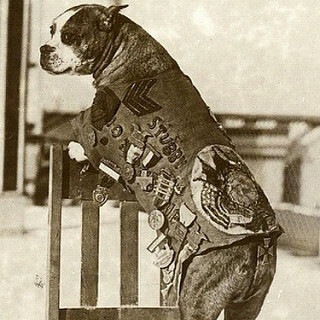 During his days in the battlefields, Sergeant Stubby was injured a lot and had many wounds. After the war, Stubby led many parades in America and met three U.S. Presidents as well. After the dog’s death, he was preserved and is still on display at the Smithsonian Institution. Dogs are now a crucial part of armies as they are efficient in sniffing out drugs, explosives, and even people. In some ways, dogs are also trained to attack the enemy. Military dogs start training usually at the age of 1.5 years and are familiarized with their handler from the beginning itself. 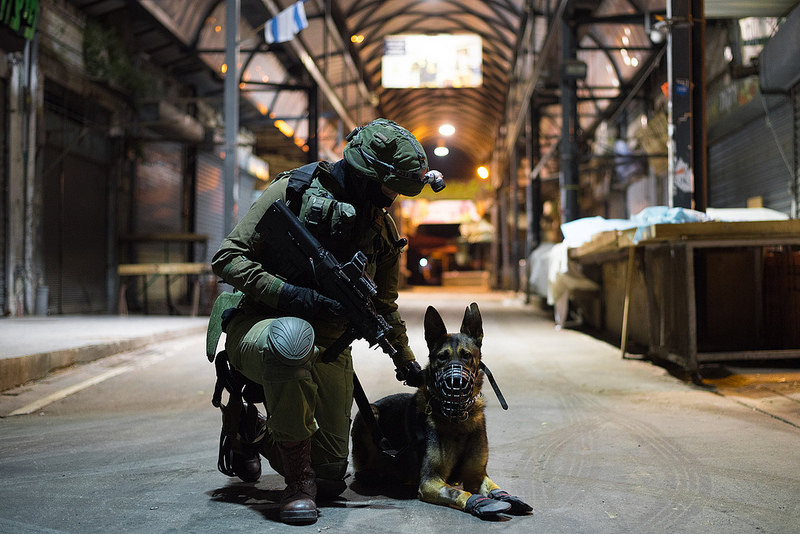 The safety of military dogs is highly prioritized and any mistreatment leads to serious consequences on the handler or anyone who is guilty of the action. The United States Army Department and many other Militaries around the world now have established dog training camps. The U.S. Army even has a puppy development program that prepares newborn puppies for their duties in the near future. Just like Chips and Sergeant Stubby, many courageous dogs have been a part of armies all around the world. Can Dogs Eat Bananas? 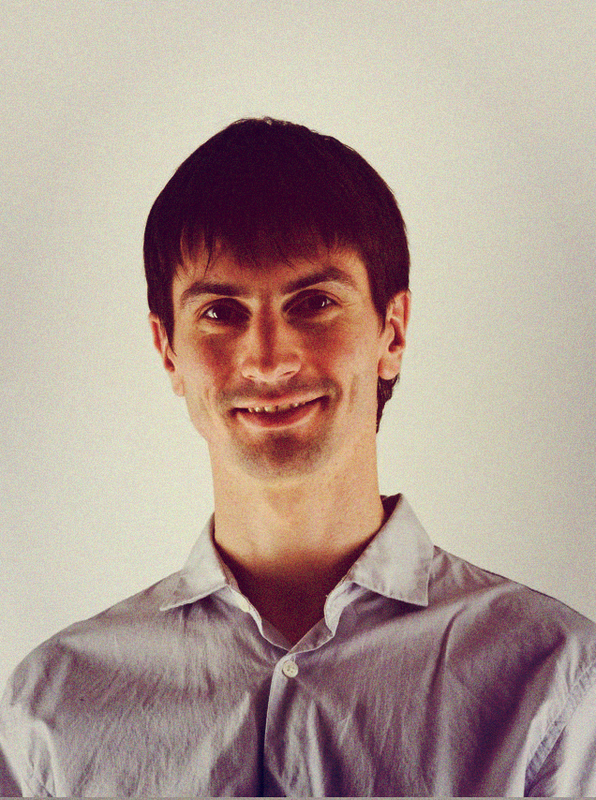 How Long Does It Take To Become A Respiratory Therapist What is the Highest Credit Score Possible? What Are The Most Dangerous Dog Breeds? 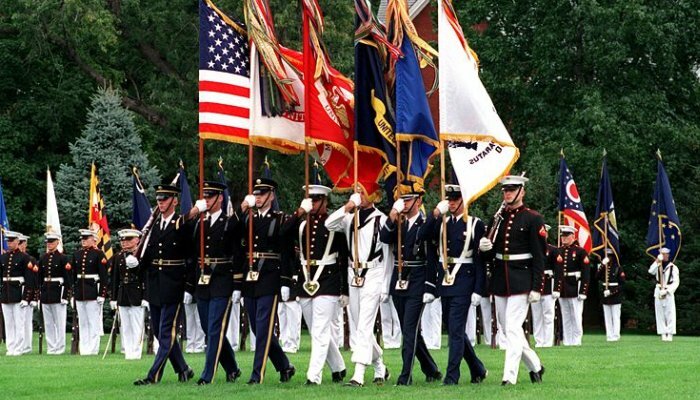 What Are The Benefits Of Joining The Military? What’s the Difference Between an American Bulldog vs Pitbull? What is the Difference Between a French Bulldog and a Boston Terrier?